Asian markets slipped on Wednesday afternoon following a series of conflicting reports on U.S.-China trade that surfaced overnight. 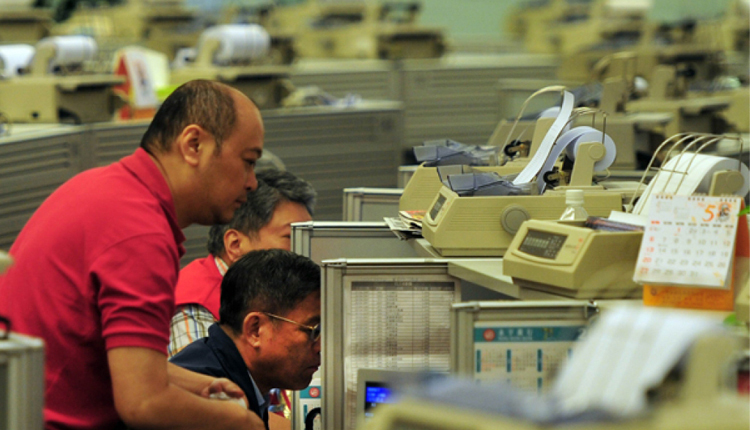 The broad MSCI Asia ex-Japan index slipped 0.46 percent to 528.04, as of 12:51 p.m. HK/SIN. The mainland Chinese markets were the biggest losers, with the Shanghai composite, Shenzhen composite and Shenzhen component all falling more than 1 percent by the morning session’s end. In Hong Kong, the Hang Seng index declined 0.52 percent. Shares of Chinese smartphone maker Xiaomi dropped 4.75 percent despite posting fourth quarter earnings that bested expectations. The Nikkei 225 in Japan recovered from its earlier slip to trade slightly higher in the afternoon, with shares of index heavyweight Fast Retailing advancing more than 0.6 percent, while the Topix index was fractionally higher. Sony and Nintendo both saw their stock falling by more than 3 percent, following Google’s overnight announcement of its video game streaming platform. Over in South Korea, the Kospi fell around 1 percent as shares of industry heavyweight Samsung Electronics fell beyond 1 percent after the company said it expected “many difficulties” in the year ahead. In Australia, the ASX 200 declined 0.31 percent. Overnight on Wall Street, stocks stateside began to roll over after Bloomberg News reported, citing people familiar with the matter, that U.S. officials are worried China may be pushing back against U.S. demands in the countries’ ongoing trade talks. The report also said Chinese negotiators are worried they have not received assurances that tariffs imposed on Chinese goods would be lifted once a deal is struck. The major indexes on Wall Street briefly regained some of its footing after Dow Jones said the talks were in the final stages, noting Chinese Vice Premier Liu He will travel to Washington in the next few weeks. “If there’s a so-called trade deal, in my opinion it could be rather cosmetic than really substantial,” he said. Meanwhile, the U.S. Federal Reserve is set to announce its decision on interest rates later on Wednesday following its two-day monetary policy meeting. “We agree with market pricing and US economists that the (Federal Open Market Committee) will not change monetary policy,” Joseph Capurso, senior currency strategist at Commonwealth Bank of Australia, said in a morning note. He said the committee is expected to decrease their forecast for the U.S. GDP, adding that the monthly economic data released so far suggests “very weak growth” for the first quarter of 2019. The U.S. dollar index, which tracks the greenback against a basket of its peers, was at 96.471 after sliding from the 96.5 handle yesterday. The Japanese yen traded at 111.57 against the dollar after seeing highs around 111.2 in the previous session. The Australian dollar changed hands at $0.7073 after declining from highs above $0.71 yesterday. Oil prices declined in the afternoon of Asian trading hours, with the international benchmark Brent crude futures contract slipping 0.16 percent to $67.50 per barrel and U.S. crude futures shedding 0.27 percent to $58.87 per barrel.